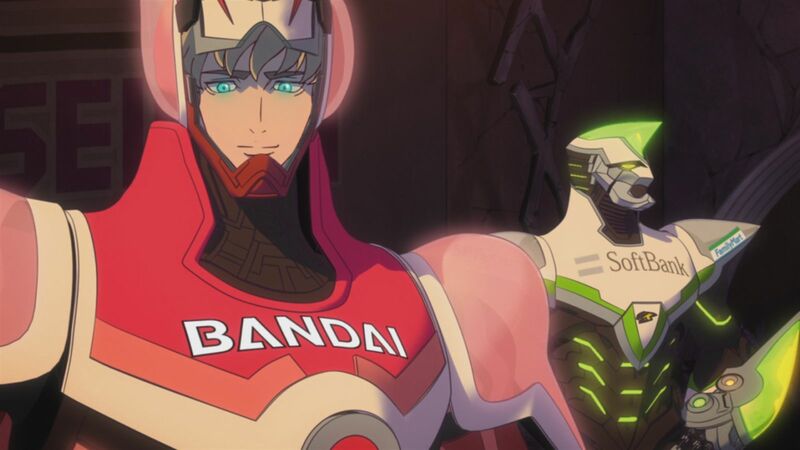 Plot: Dandy’s back, baby. And he, Meow, and QT are still on a galactic quest for the rarest aliens in the universe in Season 2 of this madcap comic masterpiece! Forget pomp and circumstance, Dandy’s all pompadour and bad romance. With the help of QT the defunct robot and Meow the lazy space cat, he and his team of misfits are bumbling through the cosmos one planet at a time. Old habits die hard, baby, and Dandy’s penchant for slacking off at the local Boobies takes precedence over the alien-catching game. But being strapped for cash won’t keep trouble away from the trio of Aloha Oe. Chimp-faced Dr. Get is still hot on his heels, and large-scale destruction of planets (and egos) is on the horizon. Hold on tight, baby. It’s gonna be a bumpy ride. 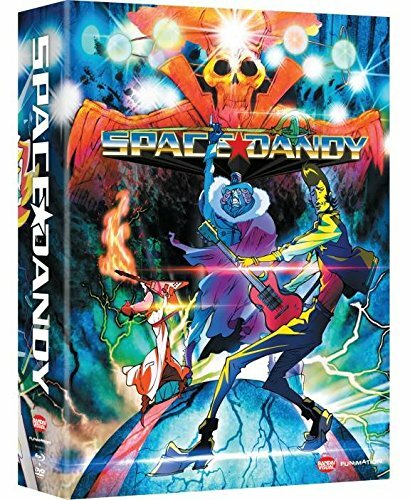 Anime Limited have already released Spandy Dandy – Season 2 on Blu-ray as a ‘Collectors Edition’ set and can be purchased from online retailers such as Amazon UK, Zavvi and Base. 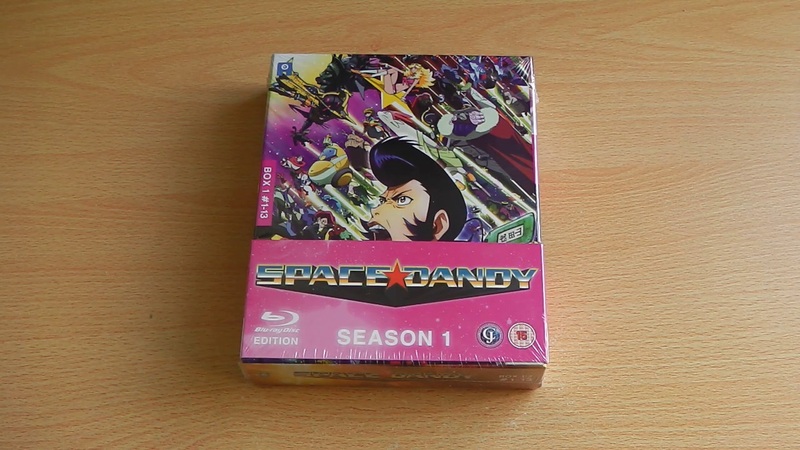 Whether you like it or find it completely bonkers Anime Limited’s Collectors Edition release of Space Dandy – Season 1 is truly something special; however dig-deeper and you’ll find a product thats riddle with disappointments but none-the-less we are going to take a look at it in our latest unboxing article. 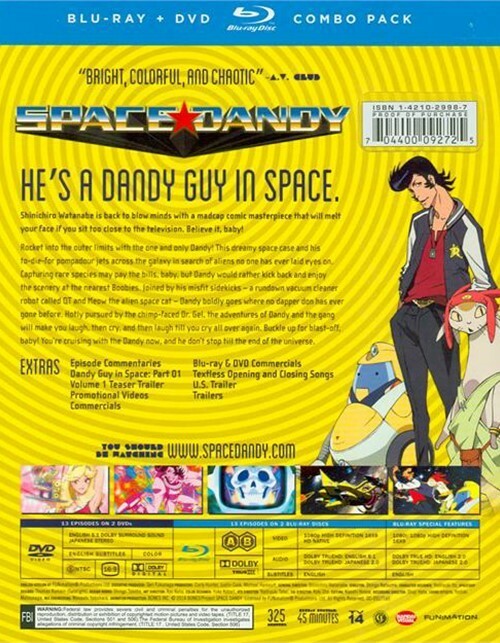 Plot: Rocket into the outer limits with the one and only Dandy! 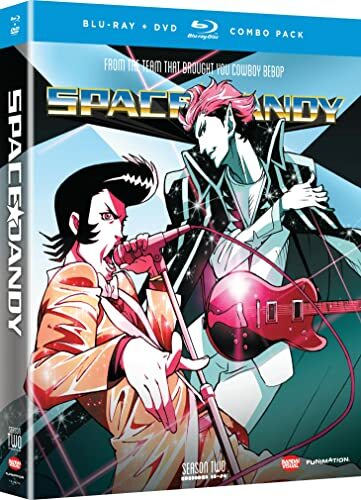 This dreamy space case and his to-die-for pompadour jet across the galaxy in search of aliens no one has ever laid eyes on. Capturing rare species may pay the bills, baby, but Dandy would rather kick back and enjoy the scenery at the nearest Boobies. Joined by his misfit sidekicks – a rundown vacuum cleaner robot called QT and Meow the alien space cat – Dandy boldly goes where no daper don has ever gone before. Hotly pursued by the chimp-faced Dr. Gel, the adventures of Dandy and the gang will make you laugh, then cry, and then laugh till you cry all over again. Buckle up for blast off, baby! 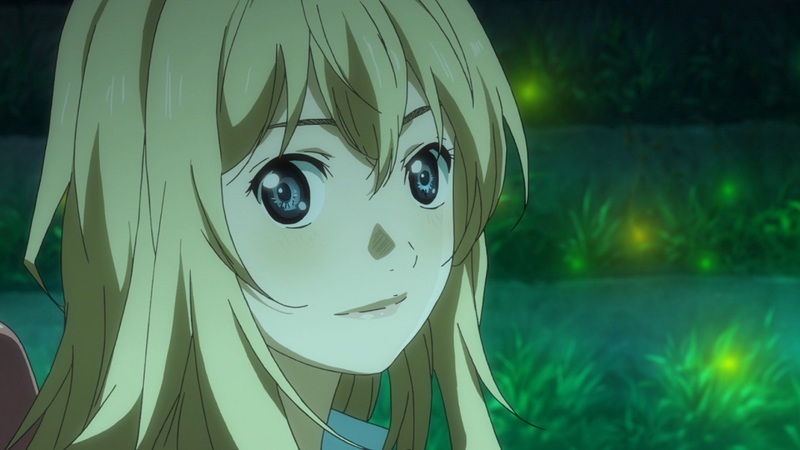 You’re cruising with the Dandy now, and he don’t stop till the end of the universe.